Our objective is to be the most competitive organization manufacturing good quality raw materials for cattle, poultry and aqua feed products like high protein Cottonseed Meal & Cottonseed Hulls. The products manufactured by us are suitable for all classes of poultry, dairy and aqua species and are suitable to support the genetic potential of all classes of livestocks and poultry. 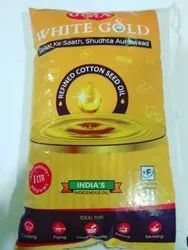 Well Refined Cotton Seed Oil. Being extracted from plants, helps reduce cholestrol level. Tastes like whichever ingredient its added to. Fights free radicals and is essential for good health. Balanced saturated fatty acids & unsaturated makes it a healthy heart oil. Has a high smoke point, low calorie absorption and stability. High level of antioxidant preserves freshness in fried products resulting in longer shelf life. Usage Poultry Feeds, Aqua Feed, Cattle Feed. Certification Anacon Lab Report, Vimta Lab Report, Shree Ramdhoota Poultry Research & Agreement, China Test. We are having cotton seed solvent extraction plant of 200 TPD and oil refinery 100 TPD located at Hinganghat, Dist : Wardha (one hour travel from Nagpur) (Maharashtra) and we have came up with one of the best and Unique Technology for producing " Hi Protein and Gossypol free Cotton Seed Meal (DOC)" which is being produced 1st time in India. Our brand GIMA GOLD is guaranteed with following parameters. Free Gossypol - 30 to 40 PPM by liquid chromatography (LC); and 300 to 400 ppm by Spectrophotometer. 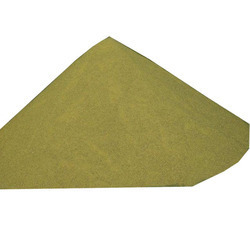 Our product is Most Suitable for Aqua, Poultry and Cattle Feed. We have attached herewith test report of Anacon Lab which is an independent lab and can take reference if required. We have attached herewith test report of Vimta Lab which is an independent lab. Our Hi-protein Cotton seed Meal is much better than Soya Hi pro in terms of parameters like Protein, Amino acid profile, Digestibility, metabolic energy etc... and this we able to achieve due to low temperature treatment, which helps to preserve nutritional elements naturally present in cotton seed. Further we have put up additional process of Gossypol extraction by which we remove free gossypol, aflatoxine and other toxic elements. These parameters makes our product a unique and high quality feed which will give better results in animal growth. We have started production before 7 months and producing 80 MT per day. Within a short time, we able to reach some good and reputed customer Like Growell, Deepak Nexgen, Uno Feeds, etc.. in Andra Pradesh, Uttarakhand & Chhattisgarh. Further this product has been approved by Director of Poultry Research, Hyderabad by taking trial on Actual Birds (Broiler) under guidance of Dr. S.V.Ramarao. with inclusion up to 15% Cotton Seed Meal. We are sharing study report. 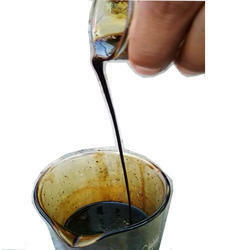 We can despatch you sample for testing purpose and highly look forward for your reply and trial order. Usage Poultry Feed,Aqua Feed & Cattle Feed. Usage/Application Poultry Feed,Aqua Feed & Cattle Feed. We have attached herewith test report of Anacon Lab which is an independent lab and can take reference if required. ( Dr. Garway - 09823167077). Brand GIMA BIOTECHNOLOGY PVT. LTD.
Usage Poultry Feed, Aqua Feed, Cattle Feed etc. Certification Certified by Anacon Lab (Dr. Garway), Practical by Dr. S.V.Ramarao & Many standard Organisation. Usage/Application Making Poultry Feed, Aqua Feed & cattle Feed etc. As you are aware we are having cotton seed solvent extraction plant of 200 TPD and oil refinery 100 TPD located at Hinganghat, Dist Wardha (70 kms from Nagpur) (Maharashtra) India and we have came up with one of the best and Unique Technology for producing " Hi Protein and Gossypol free Cotton Seed Meal (DGCSP)" which is being produced 1st time in India. Our DGCSP is guaranteed with following parameters. Usage/Application For making Soaf, chemical use etc. We are having cotton seed solvent extraction plant of 200 TPD and oil refinery 100 TPD located at Hinganghat, Dist : Wardha (1.30 hrs run from Nagpur) (Maharashtra) India and we have came up with one of the best and Unique Technology for producing " Hi Protein and Gossypol free Cotton Seed Meal" which is being produced 1st time in India. As a byproduct we are getting Cotton Seed Acid Oil in a good quantity. 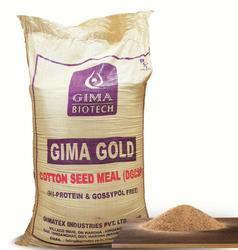 Gima Cottonseed Biotechnology (An Unit of Gimatex Industries Pvt. Ltd) is having cotton seed solvent extraction plant of 200 TPD and oil refinery 100 TPD located at Hinganghat, Dist : Wardha (70 kms from Nagpur) (Maharashtra) and we have come up with one of the best Technology for producing "Cotton Seed Refined Oil " “GIMA WHITE GOLD” in India. 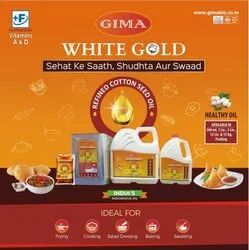 “GIMA WHITE GOLD” is Refined Oil produce from fully Cotton Seed without mixing any other edible oil & please find some attachment files here with the mail for more details. Brand Gima Cottonseed Biotechnology Pvt. Ltd.
Usage/Application Linter Pulp, Nitro Cellulose, Viscose Cellulose, Medical Purpose etc. Hydro-Chloride Cotton Seed Bleached Linter.